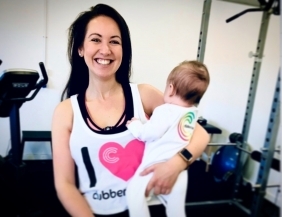 Bev was attending regular Clubbercise classes when she became pregnant for the first time. 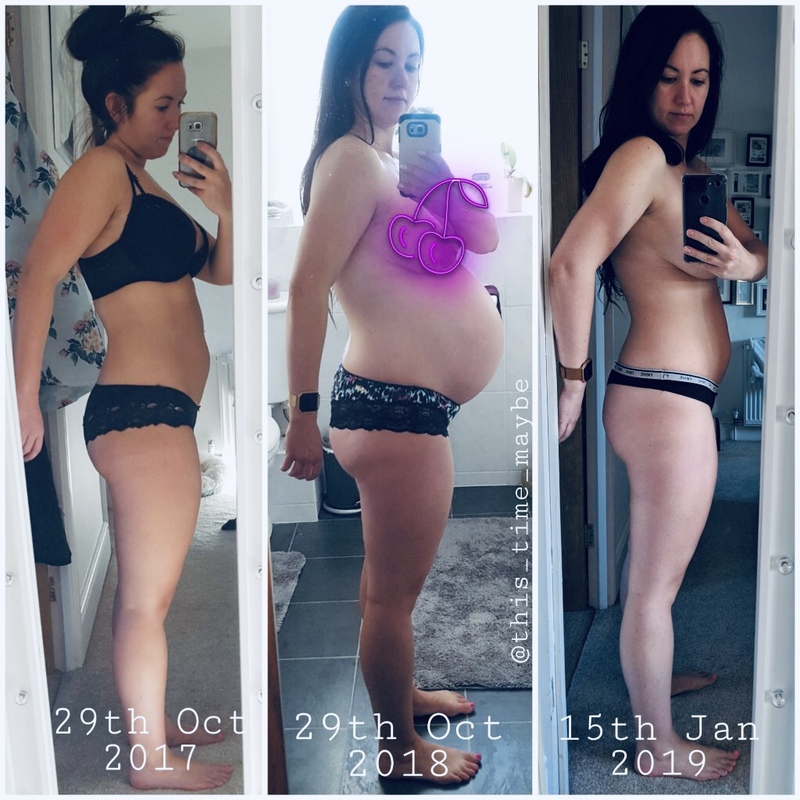 Here she shares her experience of managing her clubbing as her bump grew and losing the baby weight after the birth. 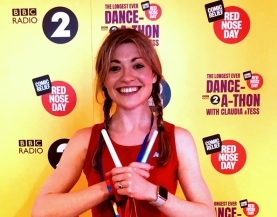 My first trip to a Clubbercise class was four years ago when my sister Grace, who is a 'This Girl Can' ambassador, talked me into joining her. After the first class, we were hooked and I've been clubbing ever since. I've been doing three classes a week for two years now. Me and my partner decided to have a baby in 2018 and one of the first things that came into my mind was 'will I be able to carry on clubbing?!'. I'd worked so hard to build up my stamina and fitness levels, as well as my confidence and I was proud to always be up in the front row glowing hard, giving it my all. The thought of having to stop exercising and my body changing really scared me. Thankfully my midwife and my instructors all said I was fine to continue my Clubbercise classes. I kept up with three classes a week until I was 34 weeks pregnant when I went down to two a week. I had to make a few tweaks like changing the angle of my high knees so I didn't kick myself but I was determined I would stay active and strong and have a fit pregnancy! I carried on clubbing right up to 39 weeks and amazingly as my bump got bigger, the rest of me got smaller! Once I had given birth to my gorgeous little boy, I lost my baby weight within a week and had to go shopping for new clothes as I had actually dropped a jean and dress size! Now 11 weeks on I am back clubbing twice a week and I am the fittest and lightest I have been in my adult life. 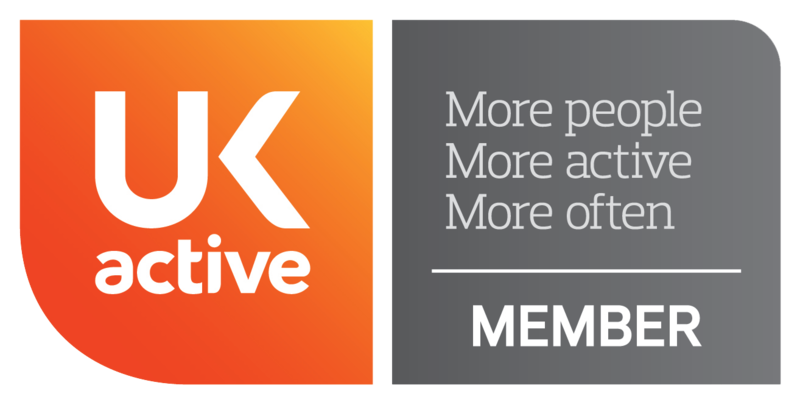 On top of the health benefits I'd been reaping for years, the headspace that Clubbercise gave me was invaluable. Being pregnant was something that always terrified me and I didn't particularly enjoy it at times - some days I would be so overwhelmed and feel so emotional that getting out to class was the only thing that kept me sane. I'd often go out feeling really low only to come home feeling much happier and in a much better frame of mind. That's something I am still benefitting from, as a new mum - I'm sure others can relate that some days can be so challenging it's hard to see the light. I've spent many days just crying while holding my crying baby but getting out to wave my glow sticks and lose myself in the routines has been the best way to shake it off and gain perspective again, returning home with a refreshed smile! I would never have thought I could have a baby, feel so good about my body AND lose weight but I honestly believe that staying active and keeping a healthy mental attitude throughout my pregnancy was the key. 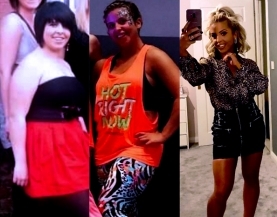 I am forever thankful to Clubbercise for making what was such a scary prospect turn out to be so empowering! IMPORTANT: If you're pregnant please consult a medical professional before attending a Clubbercise class. 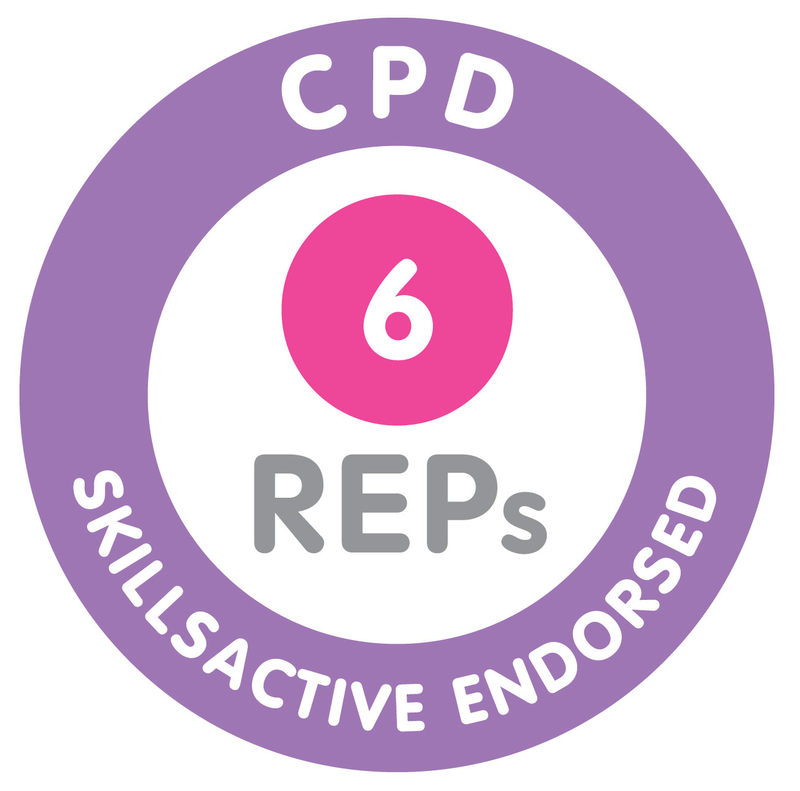 You can read the NHS 'Exercise in pregnancy' guidelines here.